Learn about some of the SIDS and infant mortality research to which Lach's Legacy has made contributions. We are grateful to those who have dedicated their careers to understanding the factors that contribute to sudden infant deaths, in hopes of finding the answers that will prevent families in the future from having to experience such a tragic loss. This research is taking place in-part in South Dakota! The Safe Passage Study is a large, prospective, multidisciplinary study designed to (1) investigate the association between prenatal alcohol exposure, sudden infant death syndrome (SIDS), and stillbirth, and (2) determine the biological basis of the spectrum of phenotypic outcomes from exposure, as modified by environmental and genetic factors that increase the risk of stillbirth, SIDS, and in surviving children, fetal alcohol spectrum disorders. 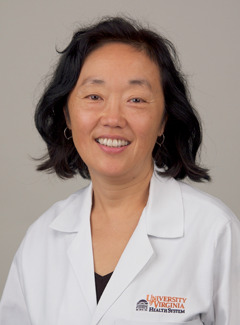 One of Dr. Moon’s current projects aims to understand the influence of the social network (family, friends, and peers) and social norms(explicit and implicit rules of a social group) on parental decisions about how and where their infants sleep, and how differences in social networks and norms contribute to disparities in SIDS and sleep-related infant deaths. Her previous research has found that mothers assume the primary responsibility for making decisions concerning their infant, and that they seek information from trusted sources, most commonly family members and friends, to guide decisions. Mothers often consider their social network to be a more trustworthy resource than medical providers. The influence of social networks, if contrary to recommended health practices, represents a major barrier to acceptance of safe sleep practices. Her long-term objective is to develop intervention strategies, using the data generated in her studies, that will change social norms regarding infant sleep practices, leading to a reduction in the persistently high rate of sleep-related deaths in African-Americans.